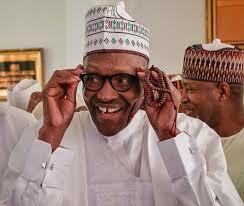 The Chairman, Senate Committee on Local and Foreign Debt,Senator Shehu Sani and a co-convener of the Bring Back Our Girls (BBOG) group, Dr Oby Ezekwesili, have commended President Muhammadu Buhari for declaring June 12 as the new Democracy Day. President Muhammadu Buhari had made the declaration in a statement on Wednesday, in honour of late MKO Abiola – the presumed winner of the June 12, 1993 Presidential Election. He said June 12 would replace May 29 because it was more symbolic, and conferred a posthumous GCFR title on the late businessman and philanthropist. Commending the development, Senator Sani noted that the 1993 mass action against military dictatorship has been crowned and the recognition should be appreciated. "The official recognition and honor accorded to Chief MKO,Chief Gani and the June 12 pro democracy struggle by the PMB Govt is commendable.Our 1993 mass action against military dictatorship has been crowned.A fierce battle we fought & a recognition we humbly appreciate". Dr Oby Ezekwesili,in a tweet described the President’s announcement as “a very welcome gesture”. "That’s a very welcome gesture from . @NGRPresident @MBuhari - this honor done Chief MKO Abiola. The symbolism of June 12 is huge for our Democracy. The sacrifice of the Abiola family was much and I do hope Mrs Kudirat Abiola is similarly accorded the honor due her. #History".